With the colder weather comes filling, warming foods. I can't wait to have the slow cooker on a lot more now to make some soups, casseroles and chilli! It's making an appearance this week on Thursday and Friday but it has been packed away a while, the poor thing! Monday - Toad in the hole, mash and peas. Tuesday - Hunters chicken (chicken, cheese and bacon and bbq sauce) with wedges and veg. Wednesday - Pizza and Salad (child free and we have one to review). Friday - Chicken Tikka Masala and poppadoms. Next weekend the Mini Mes are off to their dads house. We will keep that free as no doubt we will be out and about catching up with friends and family or eating out. 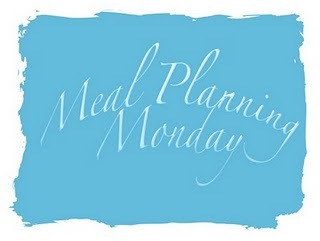 Do you cook differently for the Autumn and Winter months? Lol my post is announcing the return of the slow cooker too, its so lovely to use at this time of year. Yay for Heinz Five Beanz, they're great aren't they? I'm definitely moving into winter food now with this horrible weather. 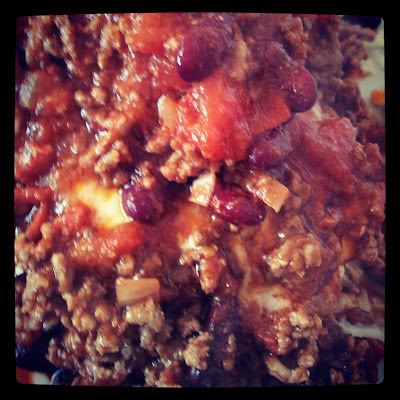 This is a delicious meal plan - that chilli looks incredible. I love chilli - so good in the winter because it's hot and spicy! Now that is what you call a meal plan. Sounds delicious! I must try chilli in the slow cooker! I definitely cook differently in the cooler weather, lots more stews, hearty dishes with huge piles of mash, casseroles and cobblers and roast dinners with all the trimmings. just about to dust off the slow cooker too.